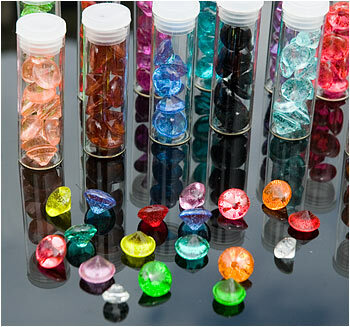 Crystal Candy offers several key product ranges. Each range consists of a collection of superior products produced from the best quality materials and featuring the very best in design. All silicon used is food-grade. The edible diamonds are made from top grade isomalt. This fantastic new product means that cake decorators worldwide now have an alternative to other leading icing brands. Why do we believe is it a better product? It dries quicker in normal humidity and especially in high humidity. Therefore no overnight wait. Drying time can be increased by placing in a convection oven at 70 degrees centigrade for 7 minutes. Switch the oven off and leave the lace in for anohter 15 minutes as the oven cools. It is flexible for longer. It can be stored in the fridge for two weeks. The key feature of the silicon mat ranges is that the designs enable intricate lace effect icing to be produced for decorating celebration cakes and cupcakes. 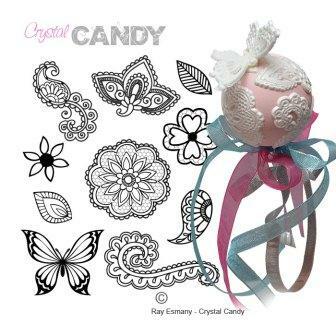 Although the some of the mats can be used with fondant, they are most effective with Crystal Lace or other leading icing brands to produce single piece designs. Introducing A Brand New Collection from Crystal Candy. Now Taking the Cake Decorating world By Storm! DoilyArt is a collection of six beautiful new designs created onto high quality silicon mats: Vintage, Bouquet, Virginia, Malachite, Fairy Dust and Swan Lake. The mats have also been produced with functionality in mind. Each mat is 7 inches in diameter which slightly smaller than the standard 8 inch cake. This allows for a border to which piping or other decorations can be attached. The RibbonArt Collection is a range of silicon mats whose design allows the creation of edible cake ribbons. 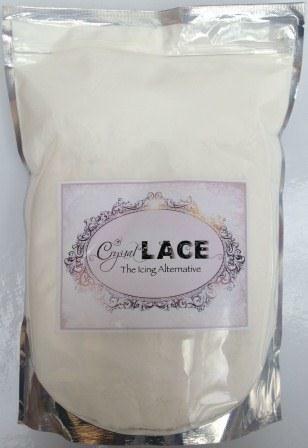 The cake decorator applys the Crystal Lace icing mix to the mat as normal but does not remove the first layer and adds a separate backing layer of icing. The entire strip is then removed together to create a beautiful ribbon. View the demonstration video here. Below: Fantasy RibbonArt mat and Venus RibbonArt mat. The Duet Collection was designed with the aim of providing cake designers with the tools to create a wedding cupcake and a wedding tiered cake using the same design. Hence Duet consists of both a CupCakeArt mats and a matching CakeArt mat. Below: Virginia Duet. 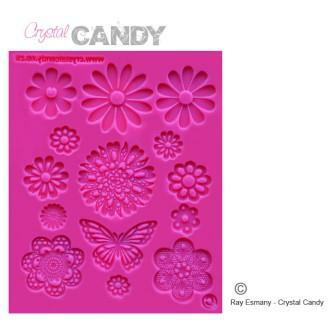 Multi-Art mats have been specifically designed to be used with Crystal Lace, other leading icing brands or chocolate. 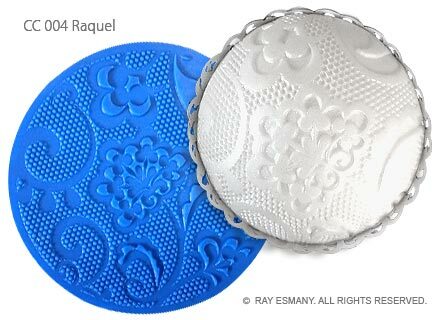 They are not suitable for use with fondant or as embossing mats. They offer the cake decorator a variety of design shapes in one mat. CupCakeArt mats are 10cm in diameter, circular and the ideal size for producing beautiful cupcake toppings using either fondant or more importantly Crystal Lace alternative icing. Below Raquel CupCakeArt mat. CakeArt mats are offered in two design groups: Platinum and Gold. Gold mats are slightly larger and heavier. These larger mats are ideal for decorating celebration cakes for weddings and christenings. A new range of CakeArt mats which save cake decorators time and money by having more than one decorative strand and/ or design on one mat. CakeArt Mini's are multi-purpose.They can be used to decorate larger celebration cakes, cupcakes or cookies. BroochArt is THE ideal decoration for wedding cakes. Intricate and sophisticated, these moulds produce the most amazing decorations. Beautiful diamonds made from isomalt. Available in 25 colours and in three sizes: 6mm, 10mm and 13mm. Unlike other brands, these diamonds do not cloud for upto three hours after exposure to the atmosphere.